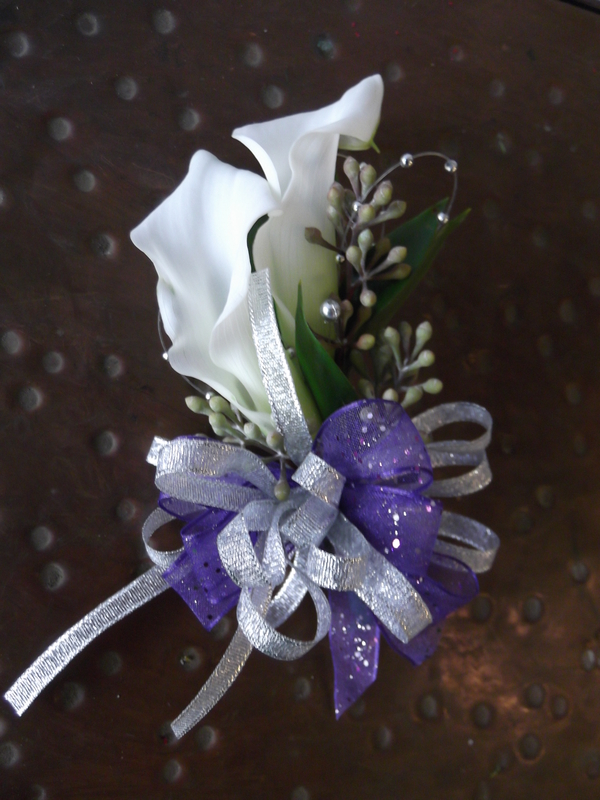 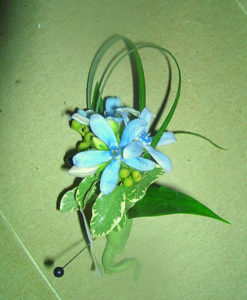 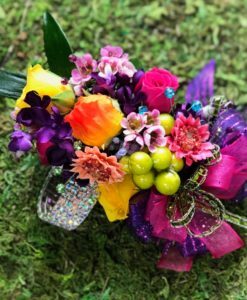 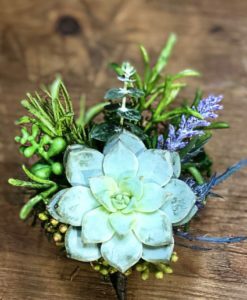 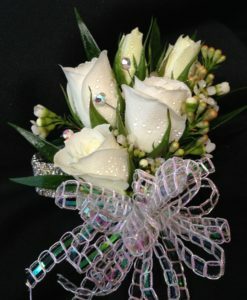 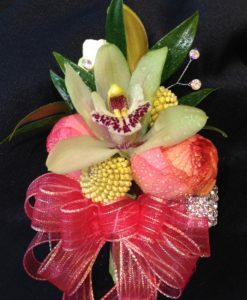 A double minicalla corsage is a nice change from the “traditional” corsage. 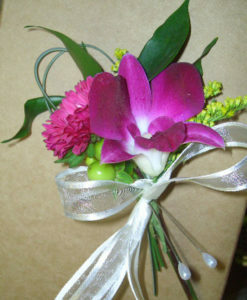 The double color bow helps pick up the colors featured in the dress. 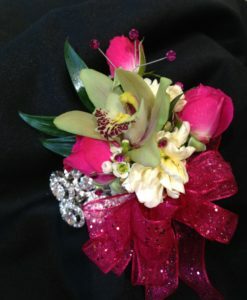 Other color minicallas might be available, call us to see what colors we have today. 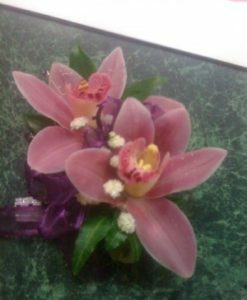 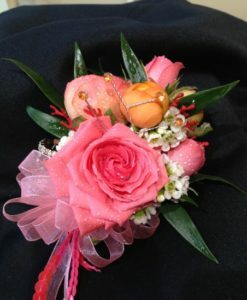 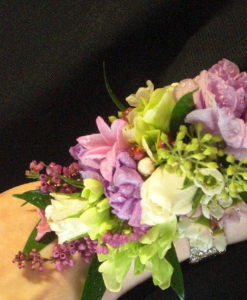 This corsage is featured on a traditional wristlett not shown in the picture.